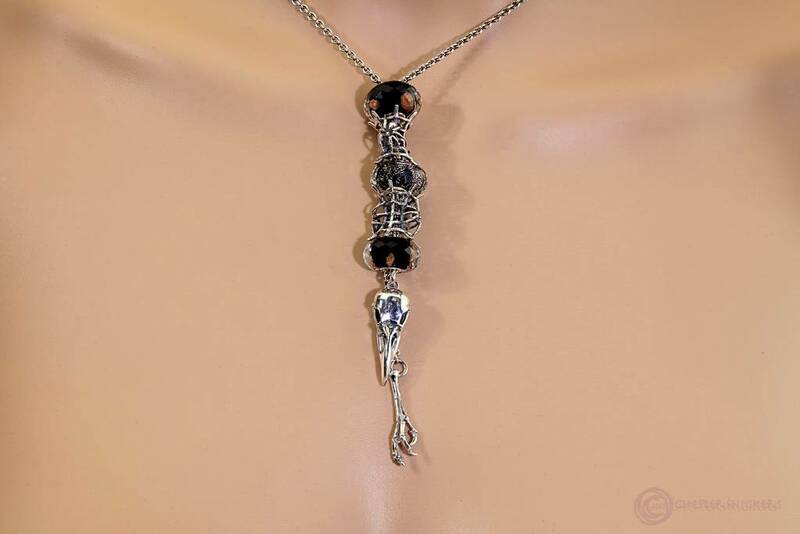 The arachnids beads look skeletal with the raven necklace! Do you think, the bird skull will work on a bracelet too? If you detach the chain ( it wasn't meant to) you will obtain a big charm .You cannot pass the bracelet chain through his eyes.And don't know if you can pass the bracelet chain through his chain link.